The general acceptance in the Catholic Church of what came to be called the Ni-cene Creed did not bring peace. That creed had been concerned primarily with the Trinity and with the relations within the Trinity of Father, Son, and Holy Spirit. There remained the problem of the relation of the divine and the human in Jesus Christ. Here was to be the storm centre of a controversy which was to continue into the seventh century. It was to issue in divisions some of which persist into the present. Here, as in the struggles over the inter-relations of the members of the Trinity, the majority came to the position which prevailed in the Western portion of the Church and in whose formulation the thought of Tertullian had been of marked assistance. Here, too, the dissensions were the most pronounced in the East. It was in the East that the enduring cleavages were seen. In general, the participants in the controversy accepted the Nicene formula as authoritative. Within that pattern, however, with its declaration that "the only begotten Son of God . . . very God of very God . . . being of one substance with the Father . . . came down from heaven . . . and was made man," there was room for various interpretations of the fashion in which the Son of God and the human had been found in Jesus of Nazareth. One major trend, with its chief focus at Alexandria, stressed the divine element, at times apparently to the exclusion of the human. Another, strongly represented at Antioch, where the historical study of the Gospels had gone forward, emphasized the human ele ment and tended to regard the divine and human as so distinct from each other that some of its representatives seemed to say that in Jesus there were two separate beings. It was the first of these views which initially came to the fore. It was associated with Apollinaris, Bishop of Laodicea in Syria, a younger friend of Athanasius. Apollinaris felt that in one being, Christ, two complete and contrasting natures could not exist, namely, the divine, eternal, unchangeable, and perfect, and the human, temporal, corruptible, finite, and imperfect. Along with many others, he held each human being to be composed of body, soul, and mind or reason, the last being what distinguishes man from the lower animals. If the two natures were both in Jesus, the latter would really have in him two beings. Moreover, the human side of Jesus might sin, much as the extreme Arians declared to be possible. This, to Apollinaris, would make man's salvation impossible. He solved the problem of the relation of the divine and human in Jesus by saying that in him the divine Logos was the rational element. This, of course, would make Christ less than fully human and would leave the divine nature in him complete. Yet Apollinaris believed that he had remained true to Nicene orthodoxy, and that he had successfully solved one of the unresolved riddles. The Cappadocians came out in opposition to Apollinaris. They saw that he had sacrificed the full humanity of Christ and said so. Gregory of Nazianzus insisted that only a Christ who had all the elements of human nature could redeem all of man, and that if every phase of man's nature were not redeemed, redemption would not be a fact. Those of the school of Antioch also vigorously disagreed. They held that the divine and human natures were both complete in Jesus and that the Logos dwelt in Jesus much as God dwells in a temple. God had thus been in the prophets and is in Christians, but the relation was unique in Jesus, for Jesus willed what God willed and in him the unity had become indissoluble. The school of Antioch was seemingly more affected by Aristotle than by Plato and made more of the historical facts of the life of Jesus. That of Alexandria, to which Apollinaris belonged, had been more under the influence of Plato. The Antioch school was concerned with the study of the historical accounts of the life of Christ. Diodorus of Tarsus was an outstanding teacher of these views and among his students were Theodore, Bishop of Mopsuestia from 392 to 428, John Chrysostom, and Nestorius, a presbyter and monk of Antioch who in 428 was called from his monastery to become Bishop of Constantinople. Emphatic decisions against the views of Apollinaris were pronounced by various synods, among them ones in Rome in 374, 376, and 382, and in 381 by the Council of Constantinople which condemned the Arians. Yet the struggle between the convictions represented by Alexandria and Antioch was not terminated by the anathemas against Apollinaris. It was kept up and out of it issued two extremes, on the one hand the several varieties of Monophysites and on the other that associated with the name of Nestorius. They failed to find favour with the Catholic Church and were ruled out and joined with geographic, political, and cultural factors in distinguishing churches which were separated from the Catholic Church and which have had a continuing existence. Catholic Church for himself and his see and by jealousy of the other great episcopal sees of the East, Antioch and Constantinople, both of them occupied by men who endorsed views from which he sharply dissented. Cyril shared in the refusal to accept the solution of Apollinaris, for he maintained that in Christ the divine and the human nature were both complete and that the latter included the rational element. But the unity in Christ, so Cyril held, was through the Logos who became incarnate in Christ, and who in becoming incarnate took on the general characteristics of man. The humanity in Christ was not so much an individual man as humanity in general. Salvation was accomplished by the personal Logos who assumed impersonal human nature, thus uniting it with the divine nature. It is thus, so Cyril taught, that human nature is enabled to become a partaker of God and of immortality. In this Cyril seemed to be following in the footsteps of Athanasius. He applied to the Virgin Mary a term which had long been in current use, Theotokos (©sotoko^), "God-bearing," or, as usually translated, "Mother of God," a term which, unfortunately, was to become a battle cry in as sharp and bitter a theological conflict as the Church had known. As Bishop of Constantinople, Nestorius was zealous in attacking heresy, especially the remnants of the Arians. However, reared as he had been in the theological atmosphere of Antioch, he was reluctant to employ Theotokos in his sermons, but preferred instead Christotokos (XpioTOTOKO^), "Christ-bearing," or "Mother of Christ," not "God-bearing," or "Mother of God." This aroused Cyril. Apparently he was all the more keen to scent heresy because his critics were complaining about him to the Emperor and to Nesto-rius. Nestorius had interested himself in the situation, and Cyril, partly moved by injured pride, welcomed an opportunity to shift attention from himself to the challengeable views of his rival. Nestorius was not always tactful, circulated his convictions widely, and dealt harshly with monks who dared to denounce him. Cyril came out in favour of Theotokos and a sharp exchange of letters took place between himself and Nestorius. Both men wrote to their fellow bishop, Celestine of Rome. Celestine found against Nestorius, possibly because the latter had not been as deferential to him as had Cyril and possibly also because Nestorius had displayed a certain degree of hospitality to some Pelagians, of whom we are to hear more a little later, who had fled to Constantinople. In 430 a synod at Rome ordered Nestorius either to recant or be excommunicated. Also in the year 430 Cyril convened a synod in Alexandria which condemned the positions which he maintained were those of Nestorius. Among them were the failure to use Theotokos and the separation of the divine and human nature in Christ in such fashion that Christ was viewed as a "God-bearing man," and that "Jesus is, as a man, energized by the Logos of God." Except for the reluctance to use Theotokos, Nestorius had not taught them. The dispute waxed so warm that a general council was called — by imperial order — to deal with it. The bishops assembled at Ephesus in 431 (in what is usually called the Third Ecumenical Council). Cyril and his supporters reached the city first. Without waiting for the friends of Nestorius, a party of bishops from Antioch, the council convened under the presidency of Cyril and, when Nestorius declined to appear before it until the other bishops arrived, under the leadership of his chief accuser in a single long day's session it condemned and deposed him. Stirred up by their bishop, Memnon, the Ephesian populace committed acts of violence against Nestorius and his supporters. When, not long thereafter, John, the Bishop of Antioch, and the bishops with him came. they organized themselves, claiming to be the legitimate council, and condemned Cyril and Memnon as Arians and Apollinarians and deposed and excommunicated them. 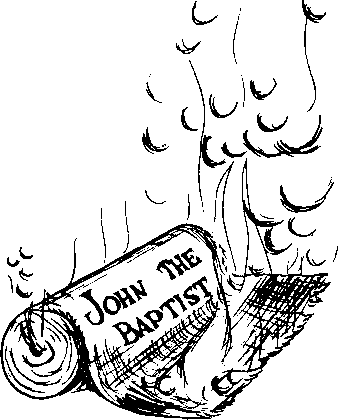 The bishops in Cyril's council numbered about two hundred and those in John's forty-three. A few days later, when the representatives of Bishop Celestine of Rome reached Ephesus, the majority council resumed its sessions and excommunicated Bishop John and his party. Both sides appealed to the Emperor and the latter for the moment confirmed the deposition of Cyril, Memnon, and Nestorius and endeavoured to bring the two factions together and heal the breach. Nestorius was commanded henceforth to live in a monastery. A temporary peace was patched up when in 433 John of Antioch sent to Cyril a creed which declared Jesus Christ to be "true God and true man, consisting of a reasonable soul and a body," and the Virgin to be Theotokos. To this creed Cyril subscribed. Nestorius remained in exile, most of the time, apparently, in Egypt, and often in great physical and mental distress. In his painful seclusion he wrote extensively in his own defense, setting forth his version of the unhappy controversy and elaborating a statement of his faith. From this it is not entirely clear whether he held the views which have been associated with his name — the presence of the divine and human in Jesus Christ in such fashion that there were in Him two distinct beings or persons rather than, as the majority view held, two natures concurring in one person (prosopon) and one substance (hypostasis). One of the works written by Nestorius in exile bore the title Tragedy. That might be a description of the life of the author and of the group of which he was a central figure, and also be illustrative of one aspect of the course of the Gospel. In his youth giving himself completely to Christ and in pursuance of that dedication caught up in the monastic movement, in the prime of his manhood Nestorius was called to one of the most exalted positions in the Catholic Church, the leadership of the Church in the Empire's second capital, Constantinople. There in his zeal for Christ as he understood him Nestorius aroused the bitter enmity of fellow Christians who also believed themselves to be loyal to Christ and held that by his preaching Nestorius dishonoured him. The leader of the opposition, Cyril, in part confused allegiance to Christ with personal ambition. Scenes followed which were a denial of the love and therefore of the faith to which both parties were theoretically committed. Nestorius, defeated, languished long years in exile. Outraged and perhaps perplexed, he again and again went over the events and the convictions which had brought him to that pass. He believed himself to have been right, but his thinking appears either to have been too subtle or not clear cut. Dragging out his years in his banishment Nestorius perished in obscurity while his successful rival continued in office and died amidst the trappings of ecclesiastical splendour. Neither man was perfect, either in his adherence to Christian moral standards or in his thinking. Through both the Church was further divided.